Suggested by Destroyer It’s time for a fight of Titans. While the Marshmallow Man is huge in terms of size, Frosty is huge as an icon. He is a jolly guy who has some reasonable durability until it gets warmer outside. Still, I think his charm won’t be enough to save him in this round. A single hit would likely shatter the poor guy. I don’t see how he would be able to dodge any attacks so that’s why I think he is basically doomed in this round. 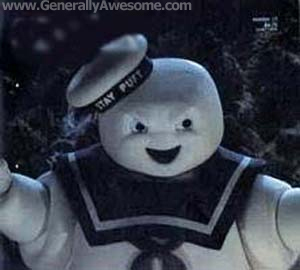 Marshmallow Man wins. 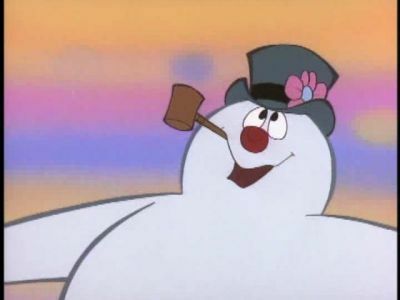 Suggested by Destroyer Frosty The Snowman is a nice enough guy who can fight when necessary. He doesn’t melt as quickly as the average Snowman either. 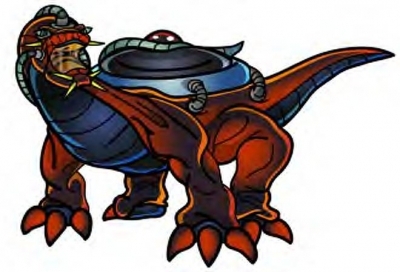 That being said, The BioLizard can still beat him with a single energy blast. Frosty isn’t very fast if we’re being honest so taking him down will be child’s play for this Ultimate Life Form. It’s hard for two FTL Hedgehogs to dodge him so just think about that for a moment. The BioLizard wins. After watching the animated Jack Frost movie a while back, I had to check out the live action one. Don’t let this intimidate you…but Michael Keaton is Jack Frost this time around. He may not look like the Jack from the animated film, but it doesn’t really follow that plot anyway. It’s a fun film that breezes by, but the ending holds it back a little in the replay value department. Jack is the lead player in a band. The problem is that it means he doesn’t have a lot of time to spend with his son Charlie. One day, Jack is called away on Christmas, which is the last straw for Charlie. Charlie gives up on being a musician in his downtime from being a hockey all star in training. As Jack drives away, he decides that the gig just isn’t worth missing Christmas for. Unfortunately, he had already set things into motion and is murdered taken out of commission on the way home. Charlie doesn’t take the news of his dad’s death very well and keeps to himself for the next year. When a snow man barges into his front yard the next Christmas while claiming to be Jack, Charlie is understandably skeptical. Could Jack have really been given a second chance to watch Charlie score a goal? 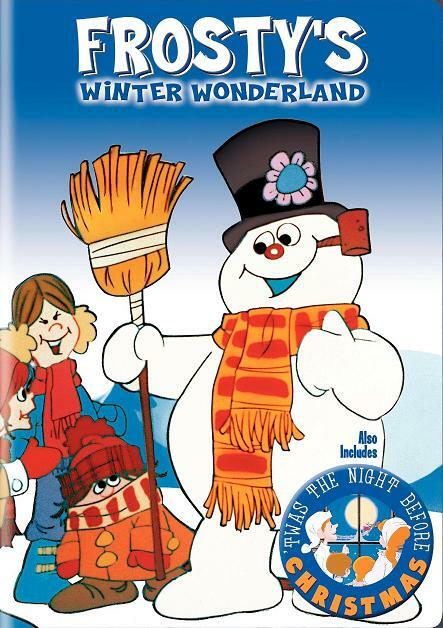 The film takes a while to get to the actual Snowman part and it isn’t a very long movie to begin with. Luckily, the first half is still pretty interesting. Jack wasn’t written as an extremely bad Dad or anything so it made the role more realistic. He did have a bad habit of cancelling his promises and it was definitely an issue on his side since he completely forgot about it in the movie as opposed to being called out for work. He should have turned down the Christmas gig on the spot since that was something that could be avoided, but nobody’s perfect and he made the right call in the end. Jack was a likable main character and if anything, you may want to see more of him than the Snowman. Speak for yourself if that’s the case though since I liked the snow form. It felt like something out of Frosty and the movie even references this. The film runs into a major snag here though. Jack doesn’t want Charlie to let anyone know that he has come back from the dead…this includes Gabby, Jack’s wife. So, why does he not want her to know this? Well, that’s tough to say because it doesn’t make any sense, especially with Jack’s personality. There’s no way that he’s just ashamed to see her as a snow man. For one thing, the snowman was well made aside from its head being too big, also Jack just has too much confidence for that. My guess is that they didn’t want her to know because it adds an extra level of drama to the film as you have to question whether Charlie is actually making this up or not. The whole cast should see the snow man talking, but only 2 of them actually react to it. So, either everyone has bad eyesight or maybe this is actually fake. Luckily, the film doesn’t go down that terrible path, but I feel like that’s what the film was going for. It wasn’t worth it though. Also, as mentioned before, the ending is pretty underwhelming. It’s not a terrible ending like Bridge to Terebithia, but it’s not a brilliantly out of left field ending like Madoka Magica Rebellion. It just ends on a flat note while you wonder why Charlie isn’t a little smarter. Considering that a few sounds from his magical instrument were enough to set the events in motion…couldn’t he have just played a little more with a different wish? Not only does Charlie not try this idea out, he doesn’t even consider it. I mean, you’ve got to be kidding me. You’ve Got To Be Kidding Me. Now I know why Charlie couldn’t hit the J shot, he never thinks outside the box. Charlie…wasn’t a good main character. I couldn’t sympathize with him much at all. He definitely has good reason to be a little upset at Jack choosing his job over the family for Christmas, but at least Jack was hoping to earn some money for all of them since the family was on the poor side. For the rest of it, Charlie could have taken it all better. At least he helped stick up for the little girl during the snowball fights with the bullies. It was great…until he left her to fend for herself when there were two bullies towards the end. He flat out just left her and the character never really recovered from that. Gabby was a good heroine. She was pretty reasonable the whole time and didn’t jump to a lot of hasty conclusions like some other characters have done in the past. She took the snowman plot in stride. We also had the Hockey coach. I just have to mention him because he had one of the most motivating speeches I’ve ever heard in Hockey and really helped the team get their competitive spirit back. Never winning is definitely tough so I’m glad that his team pulled it out in the very end. Another character was one of Jack’s band buddies, but he didn’t do much. He mostly just slept on the job and attempted to have some witty dialogue, but he forgot the wit part of it. The side characters didn’t have much to do, but again…it was a fairly short film. There wasn’t a whole lot that they could do so the film just developed them all a bit and kept it moving. Hey, it still had time to fit in the “cheesy bully turns good” moment. The best moments in the film were probably the snowball fights. These action moments were a good contrast to the rest of the film. There were a few solid rounds and they all had very serious themes playing. Yes, the film actually had a soundtrack and it was actually very good. I was pleasantly surprised to see this. Watching the kids all get defeated by a Snowman was also pretty rich. Hey, Jack’s a natural at this. The animation for the Snowman wasn’t bad I suppose as they got the permanent glare that Frosty always had, but the actual design could have been a little better. I would have liked fists instead of twigs for the hands since it would have let Jack fight a little more. I suppose that was good news for his opponents though. Overall, Jack Frost was a fun film. It’s not the kind of film that will end up being particularly memorable, but it hit enough of the right notes. I wouldn’t say that the film did anything wrong and while the ending was underwhelming, it wasn’t terrible of anything like that. A bad ending can go a long way, but this ending is good enough to not hurt the film. I’d recommend this to someone that just wants to see a nice film for Christmas. It’s mostly pretty uplifting and while it tries to have a somber plot, I’d say that it is less successful in that department. Maybe it’s about time I check out those Santa Clause films again. It’ll help pass the time by until they make a Jack Frost vs Mummy 2018 film or something. That’d be a fun match up although they’d need to power up Frost a bit. This version was not too strong to say the least. Rudolph is back for another adventure and this time he’s being assisted by Frosty The Snowman! This was my favorite Rudolph special and we even get a nice action scene to top it all off. In the previous specials, I was a little annoyed by how timid Rudolph could be. He shirked away from the fights and never seemed to defend himself, but that all changed in this special as he finally stood up for himself. Frosty’s guest star appearance was also a blast. Rudolph and Frosty are the best of pals. When they heard that starring in the circus could help one of their human friends in his rushed romance, they decide to help out. Unfortunately, it’s in a very warm area where Frosty can’t normally reside so they ask a shady fellow to give them magical wards. They will only work for a little while so Frosty calls in Santa to save the day, but Santa gets lost and starts driving in a circle for days. Without Santa, Frosty and his family quickly melt so then it’s all up to Rudolph to make a deal with the villain. The problem is that these deals typically come at a steep price. As you can see, we can blame most of the film’s problems on Frosty and his family. They should not have agreed to come to the circus if it would force them to be dependent on a mysterious sorcerer. You never want to be in someone’s debt if you don’t have too and much more so if it’s a sketchy looking fellow who probably does not have your best interests at heart. 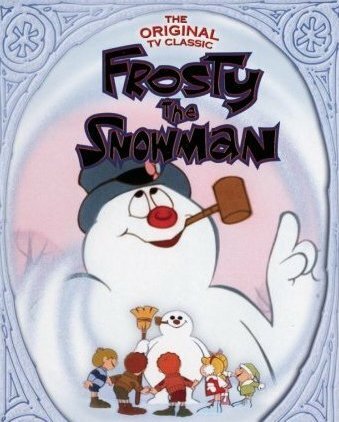 Frosty was also the only reasonable Snow person in the film. His wife and kids are ingrates who shove Rudolph aside right away. “They wouldn’t let him play any reindeer games!” Why does no one understand poor Rudolph? Frosty’s a good character at least. He tries his best to make things right and goes to the magician to stop this madness. Unfortunately, he’s as gullible as he is kind so everything is up to Rudolph once more. Unlike the New Year special where Rudolph didn’t know how to fight, that changed in this special as he launched into action and we got an aerial fight. The sharp shooter parody also got to jump into the action as she used her gun to destroy the magical wand. A little action is always a nice touch to make the ending of something a little more epic. This film also helped to bring together just about the whole franchise of stop motion characters from this series. Rudolph, Frosty, Jack Frost, Santa, and more characters got to show up for this event. Jack Frost’s role is a little sad for his fans since he has to keep blowing cold air for hours and hours. Truly a sad fate and Santa didn’t fare much better as he got lost in a snow storm for the whole film despite his magical abilities supposedly being immensely powerful. Even the whale got to appear to give Rudolph a helping hand when the going got tough he knew when to get going. I won’t comment on the animation since you know my views on that already from older Rudolph specials. This kind of animation just isn’t my style, but I won’t let it hurt the film too much. After all, we finally got an evil Rudolph in this film, which was a neat parrallel. The film could have done more with this angle though as the idea has a lot of promise. Meanwhile, this film also adds a plot twist to the original Rudolph film, which makes it imperative that you quickly re watch that one after this film before rewatching this one. Let’s just says that big storms don’t just happen randomly. Frosty’s story is also retold and while there is no twist, we are reminded on how high tier his hat is. Frosty’s hat has more magical power than most fighters can even dream about. It was fun to see both films again since they actually got decently long flashbacks, which served as film recaps. Bringing the universe together like this and also setting the power levels was most impressive. Not to mention that we also got a very large soundtrack as a result. Songs from both titles ended up appearing and even the Misfits song played, which was nostalgic. Of course, Frosty and Rudolph’s main themes are probably still the most catchy even if Rudolph’s may make you want to cry since the lyrics are so sad…in theory. I haven’t really talked about the villains right? Well…they are all right I suppose, but they didn’t do much. Scratcher was a pretty decent villain. Getting kicked off of the Reindeer team made things personal for him, but Scratcher was still unable to really deal any damage here. Winterbolt had some pretty powerful magic and it may even be deadlier than Santa’s since he beat the old man rather easily with the storm. It was a little iffy, but it seems like he can’t beat Frosty or Rudolph in a fair fight since the hat is too powerful and Rudolph’s determination never lets him give up. There’s also a human villain, but he’s of no consequence in the long run. Overall, Christmas in July is a fun film and it’s actually the best Rudolph film that I’ve seen. The idea of a crossover is a good one and it’s safe to say that people had been waiting for this team up for some time now. It’s like Batman vs Superman, you can imagine the hype that was building up when this film was announced. If I had to choose which fighter I think would win, I’d go with Rudolph. Frosty’s powerful, but Rudolph’s quick and he can basically fly. That being said, Frosty can probably throw snowballs so maybe I had better rethink this. Like with Batman and Superman, I can think of scenarios where either fighter can claim victory. I hadn’t heard of this film myself until a few weeks ago, but it’s still most impressive that the two heavyweights could finally fight and hopefully this gets a sequel someday. That being said, hopefully Rudolph’s friends are a little more loyal since just about all of them betrayed him when it counted. That’s not what I expect to see from these guys, but Frosty stayed strong and knew that Rudolph wouldn’t steal things that weren’t his. After all, you can’t steal something that you already own and that’s the only way Rudolph would pull off a heist because he’s a nice Reindeer. I certainly recommend checking this out for Christmas. 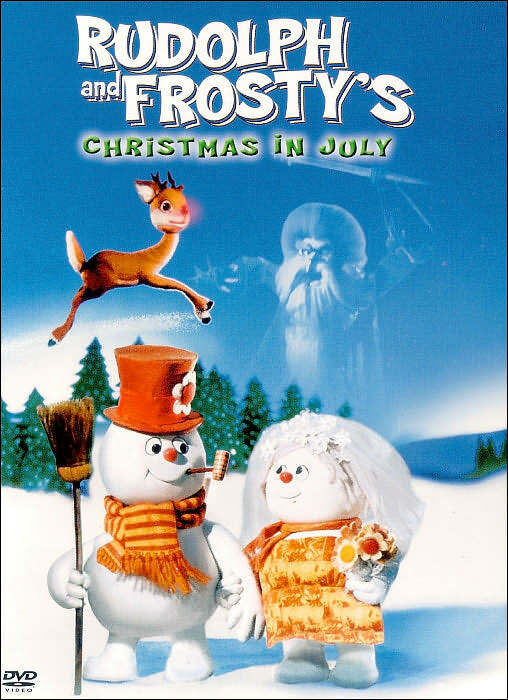 Frosty Returns is the Frosty film that I have certainly seen the most. As a kid, I watched this title several times and it was always a pretty fun experience. I was too young to fully appreciate the historical significance of Frosty returning, but that didn’t stop me from rooting for him to take out Mr. Twitchell! Unfortunately, this film doesn’t take place during Christmas as it’s just the good ole Winter. You can certainly tell that Frosty Returns is pretty modern compared to the two other Frosty titles. The animation is a lot sharper as every scene seamlessly transitions to the next one. The audio is clearer and the character personalities are pretty different from what you may have expected. This can be a good or bad thing depending on how you look at it. Frosty is no longer the extremely nice guy that he had been. He’s still nice of course, but now he has his witty remarks and quick comebacks to defend himself. It’s all in good fun of course, but you can’t imagine the old Frosty giving out pop culture references and singing in opera styled music right? This Frosty is certainly more street smart and he’s not going to be pushed around by anyone. He’s definitely a pretty solid lead and I just wish that he could have taken on Mr. Twitchell. Mr. Twitchell is the big villain of this special and he resists the hero transformation for a little longer than the other villains. He wants to destroy all of the snow in the world so that he can be rich and famous. He has an invention that will do just the trick so he just needs everyone to buy it. He’s having a lot of success with this until Holly and the other kids get wind of what he is doing. It quickly becomes a battle of wits and that’s when you know that Mr. Twitchell probably doesn’t stand a chance. He’s a little more extreme than the other villains as he actually sends someone plummeting down a trap hole when she refuses to abide by his plans. He even gets his own song, which doesn’t sound very good and the music doesn’t match the lyrics, but that just adds to the effect right? He’s a pretty decent villain although you know that he’s basically doomed from the start. Holly is the main character and she’s a pretty decent lead. She’s not really a team player like the lead from the first two films and she just wants to become a really good magician. Luckily, she has a friend by the name of Charles who comes over to help her with the act. One thing leads to another and Holly finds out that she is the only one who can save Frosty from his imminent destruction. Unfortunately, she tends to freeze up when she is talking to a figure of authority so she is going to have to quickly get over this in order to win. Charles is a pretty nice character even if he isn’t a great singer. I think that he is one of those kids who definitely acts a lot smarter than he really is, but he definitely provides a crucial role in keeping Frosty alive. When Frosty was too slow to dodge the anti snow guns, it was up to Charles to use his quick thinking abilities to think of a way out. From there, he mostly just watched as things went all according to his plan. The Narrator for this film is more interesting than the one in the last two mostly thanks to the animation. His eyes make him seem very tricky…almost sinister despite the happy lines that he is uttering. He is always sipping his hot cocoa and he seems to have a handle on things. He does tend to get blown away by the elements and by creatures who are bigger than him, but he never loses sight of his goals and he keeps trying to fill in the audience on what is happening even when he may be risking his life. This is a pretty solid announcer to say the least! The film also decides to allot a little time to the parents and teachers this time as we see that none of them like the snow. It’s pretty interesting since that’s basically how things go in the real world as well. For every adult you meet that likes snow you’ll meet at least 20 who do not. Even most of the younger generation don’t really care for snow anymore. I blame it on the fact that the world isn’t as innocent as it used to be. Now, we think of car accidents and people losing their electricity when snow falls instead of snowmen and snowball fights. In a way, it feels selfish to want snow nowadays, but I still enjoy it when it is here. It certainly causes negative consequences along with positive ones, but you have to take the good with the bad. I won’t ask for snow, but when it comes you can bet that I’ll be the first one out there to tackle it! 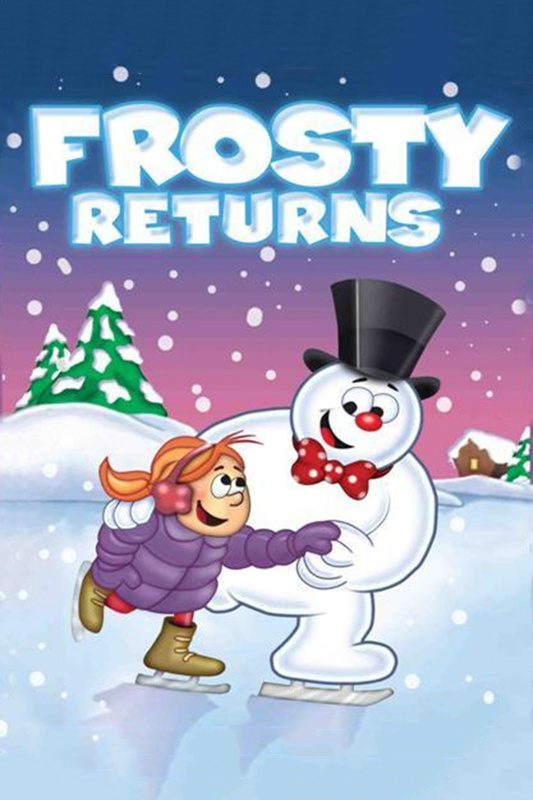 The main reason why Frosty Returns is so enjoyable is that it’s just a fun film to watch. It’s simply enjoyable to look at the snow and listen to the songs. The film only has positive messages to offer and none of the characters are truly bad. It’s the kind of film that you can watch at any time on any day and you’ll still enjoy it. It’s short duration may help in this regard or an extra half an hour would make it even better. It’s hard to tell and it’ll probably just end up being one of life’s mysteries. Overall, Frosty Returns is a pretty fun special. It’s not quite Christmas themed like the first film, but I like snow as well. While it does lose to the original, it certainly beats Frosty’s Winter Wonderland by a long shote. Mr. Twitchell makes for a pretty sinister villain and he’s the type of character that you want as a villain when you’re a little kid. Frosty The Snowman has grown up with the world and while he is still a nice guy, he can fight if need be. You may be disappointed in most of the kids since they betray the snow after a single day, but you can argue that they were just pawns in the great scheme of things. The soundtrack is pretty good and the animation is the best that I’ve seen for this iconic snowman. I definitely recommend checking this special out and it’s under 30 minutes so you really can’t go wrong there. You’d have time to watch this while eating breakfast! I’m sure that just about everyone has heard of Frosty The Snowman. This guy is a living legend when it comes to Christmas movies and you definitely don’t want to miss the yearly airing of his film. It’s a pretty nice story that leaves you feeling good. It’s rather old, but the animation is still easy to look at and it doesn’t hamper the movie. The plot is pretty simple as a few kids decide to celebrate as they get off from the final day of school. They didn’t like the magician who came in to entertain the class very much so they dashed outside to build a snowman. They put a magic hat on him and he becomes…Frosty The Snowman! Unfortunately, the weather begins to warm up so their big plans will have to be put on hold. Frosty knows that the only way he can survive is if he makes it to the North Pole so Karen decides to accompany him there. Will they really make it all the way there and still get Karen home in time for supper? This will be close! This is the kind of film that you just don’t see anymore. It’s charming and it really has no faults. 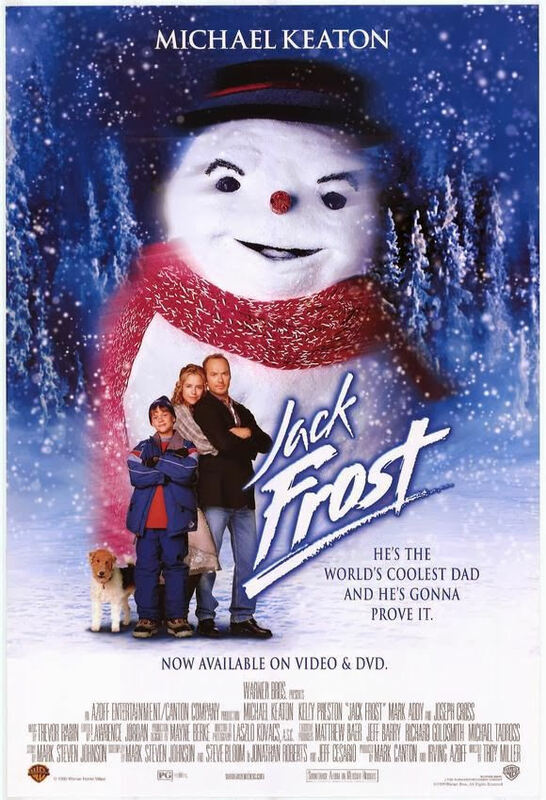 It’s a pretty fun film from start to finish and Frosty is a pretty likable lead. He only wants what is best for everyone and he makes the ultimate sacrifice to help his friends. It’s a very touching story and the implications of one scene are very huge. Let’s just say that Frosty may have had the chance to save his life if he had busted through a window, but he knew that could have endangered the lives of many plants and Karen to he kept still. He is a true hero. Karen is a pretty good character as well. She makes a rock solid case against Mr. Hickle on why Frosty should keep his hat and she also decides to accompany Frosty to the North Pole without a whole lot of hesitation. Her one negative may be that she didn’t properly thank the rabbit at the beginning. He went to a lot of trouble to help the heroes out so it would have been good if they had acknowledged that. Mr. Hickle is the main villain and he’s actually pretty sinister. He’ll do just about anything if it means that he can get rich and he resorts to stealing from little kids. It’s a good thing that Frosty and Santa were there or he could have kept embarrassing himself in front of crowds with his fake magic tricks. He is also pretty fast since he chases Frosty across a few hills and he doesn’t feel any remorse when he traps Frosty in the equivalent of an oven to the poor snowman. Luckily, Santa Clause sets everyone straight by the end. This is Santa Clause as you would expect him to be portrayed. He’s virtually indestructible and his super strength knows no bounds. He is able to basically give every character what he or she wants for Christmas and he does it without breaking a sweat. He probably doesn’t even need the reindeer at this point, but he probably loves the view. It’s a team effort after all so all of the players have to pitch in to help. Santa’s also pretty cunning since he knows just how to break Mr. Hickle without having to use one of his famous energy blasts. As I mentioned earlier, the animation is pretty decent. It’s old so naturally some of the proportions can be off at times and most of the characters have big heads, but that just gives it an extra boost of nostalgia value. It still feels more real than many of today’s shows and you can tell that a lot of work was put into this one. I’ll still take old hand drawn animation over C.G.I. almost any day. The soundtrack is decent and you’ll hear a lot of Christmas songs. I’m not a huge fan of some of the Frosty The Snowman renditions, but they’re not bad either. They definitely get you in the mood for the film. Overall, Frosty The Snowman is another good title to watch for Christmas alongside the Little Drummer Boy. It’s a pretty emotional story where the stakes actually end up being pretty high. Frosty may be a little oblivious at some times and you have to question his selective memory, (He knows about thermometers and other snowmen, but he doesn’t know what a traffic light is) but he always tries to learn what to do for next time. Mr. Hickle is a pretty tough villain and he’s someone that you can root against. I’m also sure that everyone will be pleased with Santa’s portrayal since he looks pretty tough from start to finish. The title is only about 30 minutes so you’ll definitely have time to check it out before you go back to your Christmas celebration! Frosty The Snowman is back yet again and this time he’s up against Santa. Santa has his nifty hand to hand abilities which have led him to victory many times in the past. Defeating him is one of those things that many strive to do, but few can accomplish. Santa Clause wins. Frosty The Snowman may look like a pretty tough character on the inside, but in the end he’s still no match against a monster like Godzilla! Godzilla is the King of the Monsters and he’s been taking down guys since the 50’s! Frosty The Snowman loses this round, but he tried. Godzilla wins. Frosty The Snowman is back, and he actually gets to win a round!! Rudolph is cool and all, but I don’t think that he will be able to win this round. Rudolph just doesn’t have the raw power that Frosty The Snowman has. Frosty The Snowman rises up the blog ranks with this win. Frosty The Snowman wins.